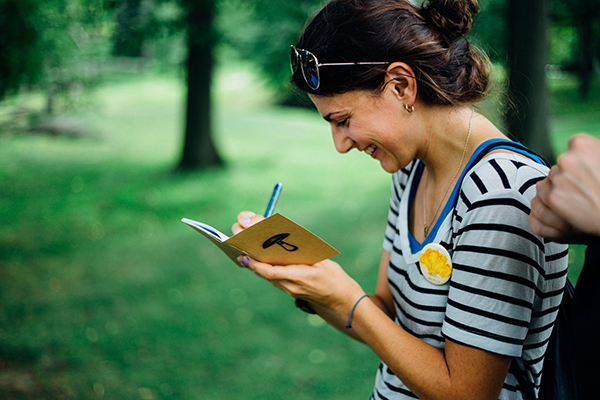 Calling all citizen scientists! 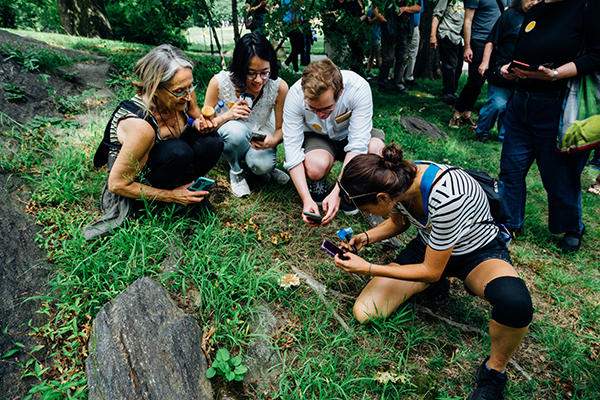 Please join us for a mushroom identification walk in Central Park with mycologist Paul Sadowski. We will start at the museum for a discussion about Orra White Hitchcock’s Fungi selecti picti mushroom album currently on view, and the history of mycology (the scientific study of fungi). 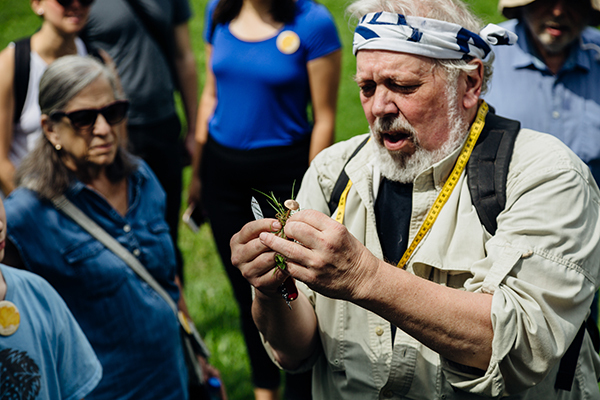 We will then leave the museum and take the C train from Columbus Circle 59th Street to the 96th Street entrance of Central Park, where Sadowski will lead the walk and help participants identify the funky fungi that they encounter. Be sure to wear sturdy shoes, bring a Metrocard, and be prepared to walk 1 to 2 miles off-road. Water, light snacks, and field notebooks will be provided. This program is limited to 25 participants. 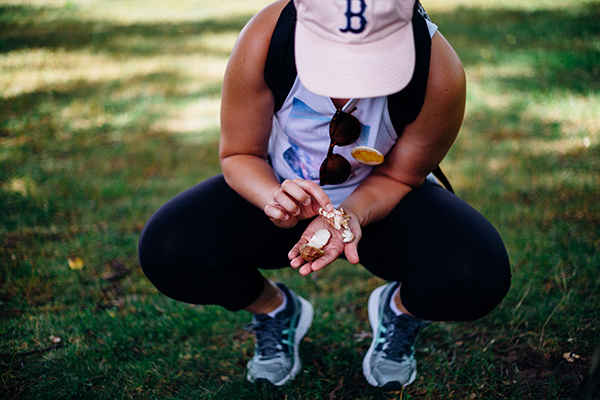 Note: We will not be picking or consuming found mushrooms. Please eat lunch before the program begins. Paul Sadowski has been an active amateur mycologist for more than twenty years. He has studied mushrooms under the mentorship of mycologists Gary Lincoff, Tom Volk, Aaron Norarevian, and Dennis Aita, among others. 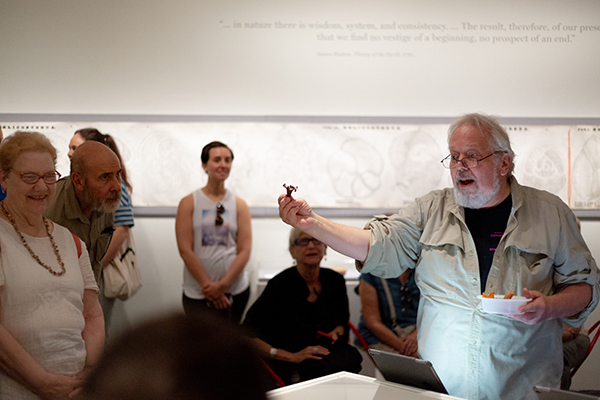 He has been a working member of the New York Mycological Society (NYMS), serving as treasurer and secretary, coordinator of the Monday Night Study Group (the Foul Weather Friends), and leader of microscopy workshops for the Society. In 2010, he received The North American Mycological Association’s Harry and Elsie Knighton Service Award. Sadowski has also been involved in the operations of the Northeast Mycological Federation (NEMF), serving as treasurer since 2011. He is the chair of the 2017 NEMF Samuel Ristich Foray. 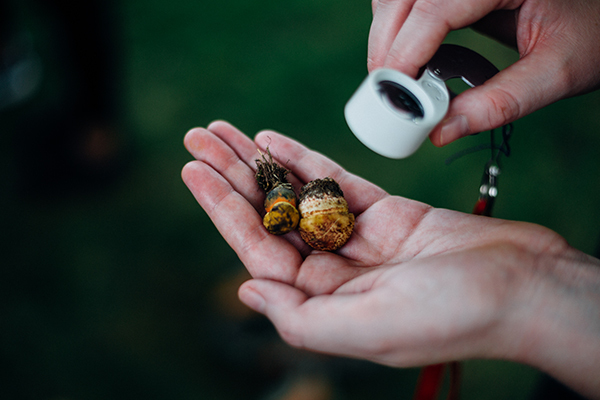 Sadowski has presented numerous programs in New York and New Jersey for an audience of the mycologically curious members of garden clubs and conservancies. 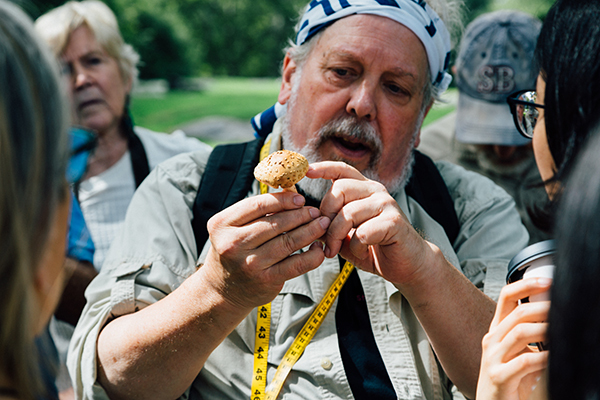 Since 2016, he has been an instructor in mycology in the New York Botanical Garden Adult Education Program, offering classes in mushroom identification. In 2007 and 2008, with Greenbrook Sanctuary naturalist Nancy Slowik, he embarked on a survey of fungi within the sanctuary’s property in the New Jersey Palisades. The experience led him to study polypores with noted mycologist Tom Volk at a seminar held at Eagle Hill, the Humboldt Field Research Center in Steubenville, Maine. 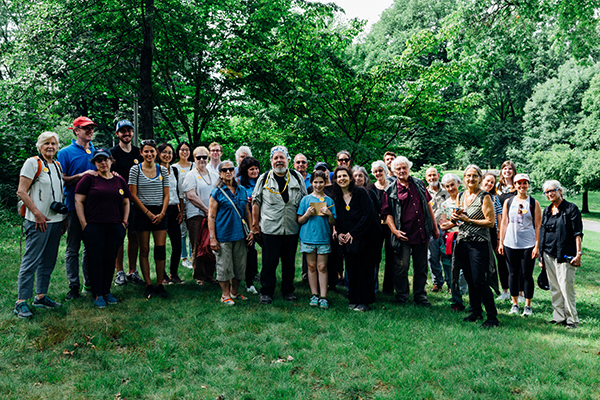 The Charles Horton Peck Foray, the annual meeting of students of mycology and mushroom hobbyists, is a touchstone for Sadowski. He has coordinated support from the NYMS in sponsoring three forays. 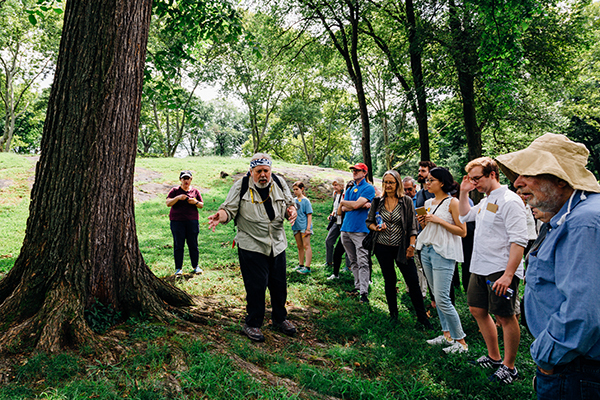 Each year since 2009, Sadowski has led presentations and walks at Inwood Hill Park on behalf of the NYC Parks Department in cooperation with the Greenacre Foundation. Event photos by Matthew Sherman. Image credit: Orra White Hitchcock (1796–1863); pages from Fungi selecti picti. ; vicinity of Conway, Massachusetts; 1821; watercolor, pencil, pen and ink, and ink wash on paper in sewn album; 6 1/2 x 8 1/16 in. ; Faculty Biographical Files Collection, Smith College Special Collections, gift of Emily Hitchcock Terry.